GEAR UP & WIN BIG! Whether your job takes place on a football field or in the office, you know how important it is to have the right equipment. 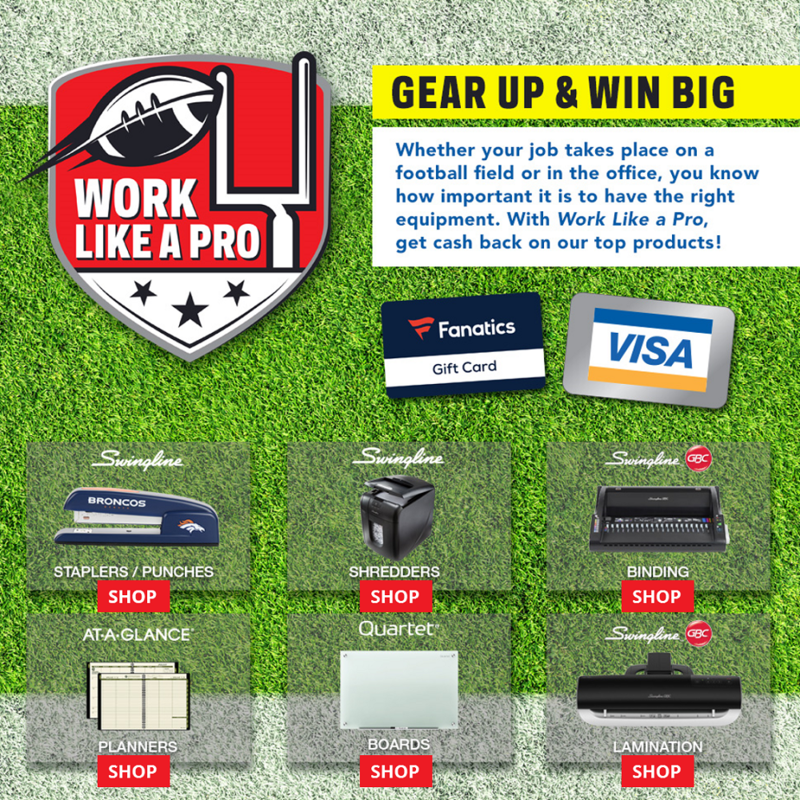 With Work Like a Pro, get cash back on our top products!